All thought leaders need a direct, credible and fresh resource to help the money come in and the important work go out. 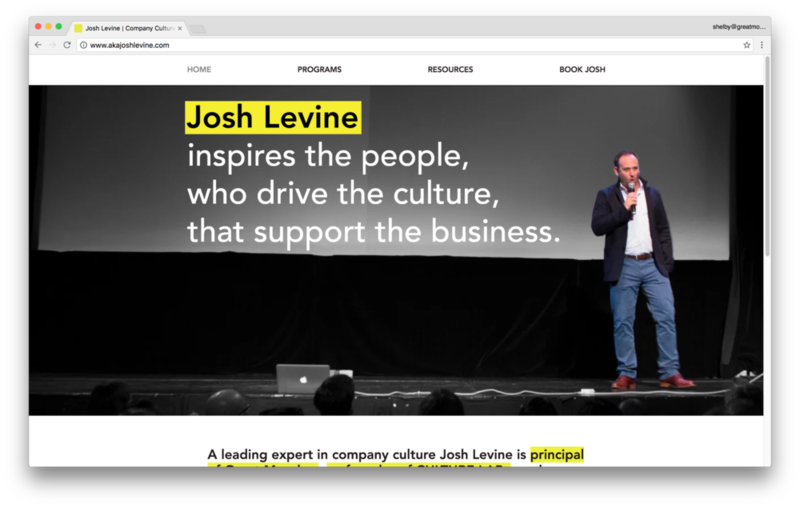 These were the main ideas behind the development and design of Josh Levine's website—consulting growing organizations about their company culture. He's already got a lot going on with a small agency of his own (which includes me), a non-profit to run, and classes to teach. Through WIX development I established and refined a design solution to meet his accelerating new career move that is professional, crisp, and smart. His very words, ask him.